Pine nuts aren’t actually a nut. They are the edible seeds of several varieties of pine trees. The ivory colored, elongated seeds offer you an opportunity to experience a delightful blend of sweet, tangy and nutty flavors. Although small in size, these seeds have a noticeable intensity. They are a flavorful recipe ingredient or addition to your snack selection. Raw pine nuts can be enjoyed as a tasty, healthy snack. However, one of their key elements of distinction is that they are the only nuts whose predominate use is as ingredients in a variety of recipes. Raw pine nuts are revered for the punch of flavor they give Italian pesto and for the contribution they make to sweet and savory dishes. They can be included in a weight loss diet, heart-healthy eating plan or an anti-aging diet. 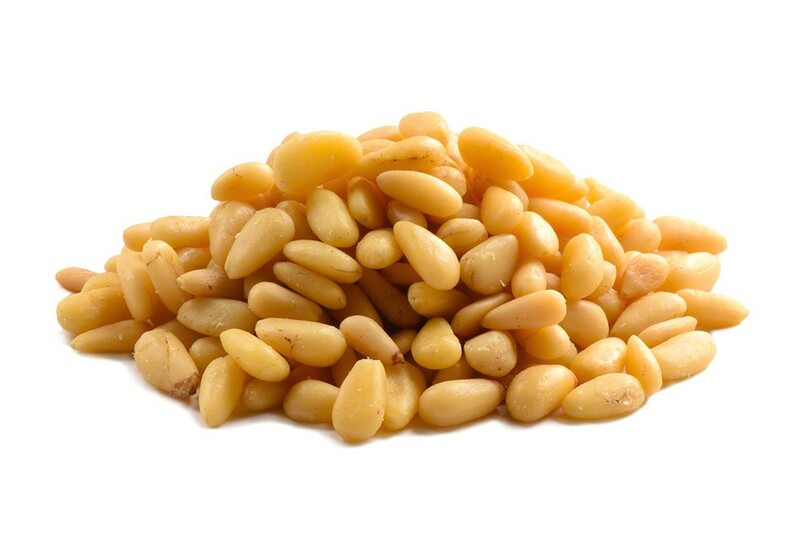 Pine nuts are also called pignolia nuts. Adding them to your diet can help rejuvenate your body, protect against aging and support heart, bone and eye health. Unhealthy eating habits, over-filled schedules and an absence of down time, can cause you to feel a little sluggish. One way to overcome sluggishness is to incorporate pine nuts into your diet. These nuts contain nutrients that can help boost your energy. Studies show that a deficiency in magnesium can lead to fatigue. Pignolias are a good source of magnesium. Enjoying some of these seeds for snack or making them a regular recipe ingredient, can boost your energy. Over-eating causes weight gain. Weight gain can contribute to inactivity. The fatty acids in these nuts can lead to the release of an appetite-suppressing hormone known as cholecystokinin. Ingredients: Pine Nuts. Product of China, Spain, Pakistan or Italy. 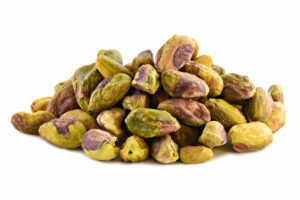 Love the pine nuts, great flavor and good price. I will continue to order these! These pine nuts have an earthy wonderful flavor, would like to be able to buy roasted, as we picked and roasted them as children. Wasn’t sure what to expect with such reasonable value pricing. Glad to report freshness and quality that were perfect for both salad add-on as well as quantities of homemade pesto. I’ll purchase again. I absolutely love these. My problem is that I can’t stop eating them. These are really good. Great flavor and fresh. I purchased these pine nuts to use in my SYRIAN RICE recipe.,which came out delicious.These are an excellent product for a great value.DEFINITELY WILL PURCHASE AGAIN!! Awesome product and the price is right! I love these pine nuts, just ordered another (2) one pound bags. I love these in salads and are great with quinoa, rice and feta cheese. They have a nice buttery flavor. Pine nuts are VERY expensive in the grocery stores so I treasure the value of these nuts! This was my second time ordering the pine nuts. Originally, I was not a big fan, but these are very good. Great to add to salads or just eating them mixed with other nuts. 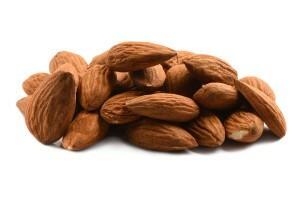 Just received my first order of raw almonds. Great price and great product. Use to buy these in various stores, but can’t beat the price or quality of these. Going to get them again. Got a very good price on pine nuts. Love these in salads or any dish with cooked vegetables. These are such an amazing value! I make a few small batches of different pestos with these and then use whatever is left on salads. Not quite as good as the Italian ones but still completely worth buying! Great price. Great taste and fresh. Perfect for pignoli cookies. These pine nuts are very fresh and you can’t beat the price! I love this product. I bought these not so much for their health benefits but more for the flavor and I just love them on salads. Great value if you purchase enough items to offset shipping cost. Very tasty and quality nuts! Recommend for a healthy nutrient-dense diet. Very good quick delivery service! Much larger than what I can buy in my local grocery store at about 1/3 the price. what more can you ask. Placed first order recently. Was extremely pleased with quick delivery and wife says quality of nuts is great. We’ll definitely be a repeat customer. 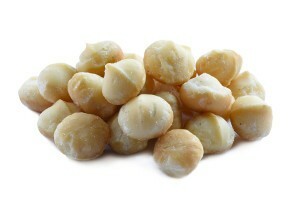 After receiving my first order of 1 lb of pine nuts, I was so pleased, I just placed an order for two more pounds. The pine nuts may be a little small, but the flavor, especially after browning a little, is great. Thank you for providing such an excellent product. Ordered three bags of these – two had teeny tiny pine nuts in them – but the third had pine nuts of a larger size. Like the larger ones better – but either way you get a great value. Still have a lot of these little guys, but they are absolutely awesome for such a good price on a one pound bag. Plus they pack good protein. These are the tiniest pine nuts I’ve ever seen! Use them in my fruit n nut mix and my family loves them. Though I wish they were bigger, still a great value for the money. Earn up to 385 points.